On November 8, Hillary Clinton lost her bid for president of the United States. “Shocking” and “upset” were some descriptions of the defeat. National and state polls had put Clinton ahead for most of the race. News media conveyed the certitude of the polls, revealing an axis of inaccuracy as state after state fell into Donald Trump’s column. This is not the first mass failure to foresee the next president. In the 1948 election, New York governor Thomas Dewey was considered the favorite over incumbent Harry Truman, with major media reinforcing polls’ conclusions. 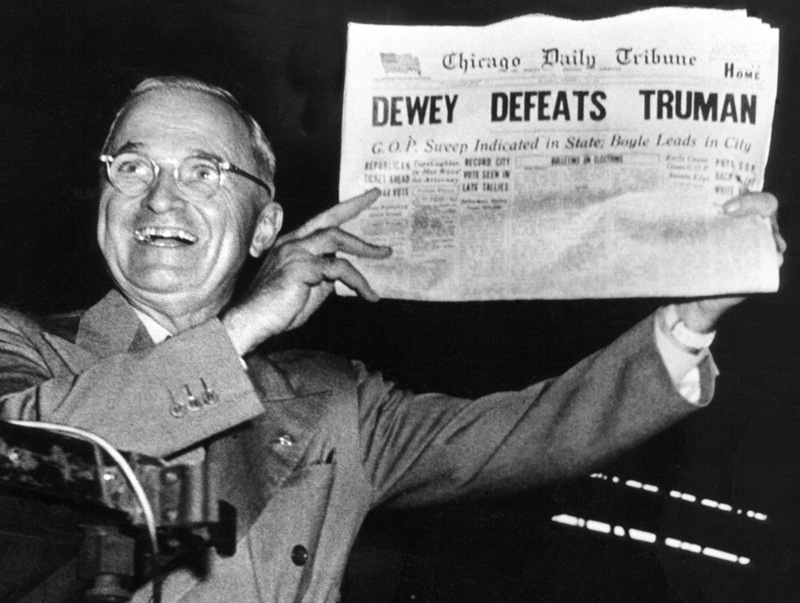 This led to one of most famous images in American political history as a triumphant Truman held up a copy of the Chicago Tribune with its errant headline on election night. How could so many polls have been so wrong? Errors in both methodology and the data gathered are the likely reasons, mistakes that can affect political polling as well as research for marketing and public relations. Issues stem from the necessity to examine a small portion (the sample) of the electorate/marketplace/public (the target population) to draw overall conclusions. Sampling Error–the sample does not accurately represent the target population. Frame Error–the criteria for selecting the sample are inaccurate or incomplete. Respondent Error–respondents intentionally or unintentionally give incorrect answers. Republican strategist Mike Murphy said on election night, “Tonight data died.” The widespread failure of this election’s polls could be due to a number of factors relating to classic research errors such as those above. Polls may have underrepresented Republicans initially opposed to Trump who ultimately voted for him, leading to a sampling error. Trump supporters may have given inaccurate answers, respondent error possibly due to the best light phenomenon, avoiding criticism of a seemingly undesirable choice or action. 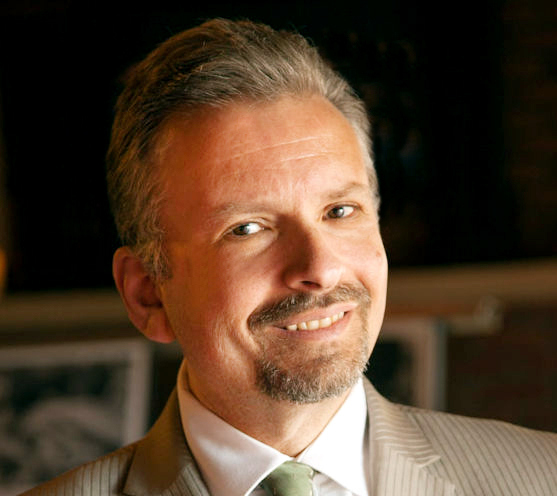 They may have shunned exit polls, nonresponse that creates a sampling error. Not all polls and media missed the mark. The USC/LA Times Poll and the Investor’s Business Daily/TIPP Poll gave Trump the advantage going into November 8. Critics dismissed the polls as outliers, compelling Dan Schnur, director of the Jesse M. Unruh Institute of Politics at USC, to defend the USC/LA Times Poll in a pre-election op-ed that explained its unique methods. 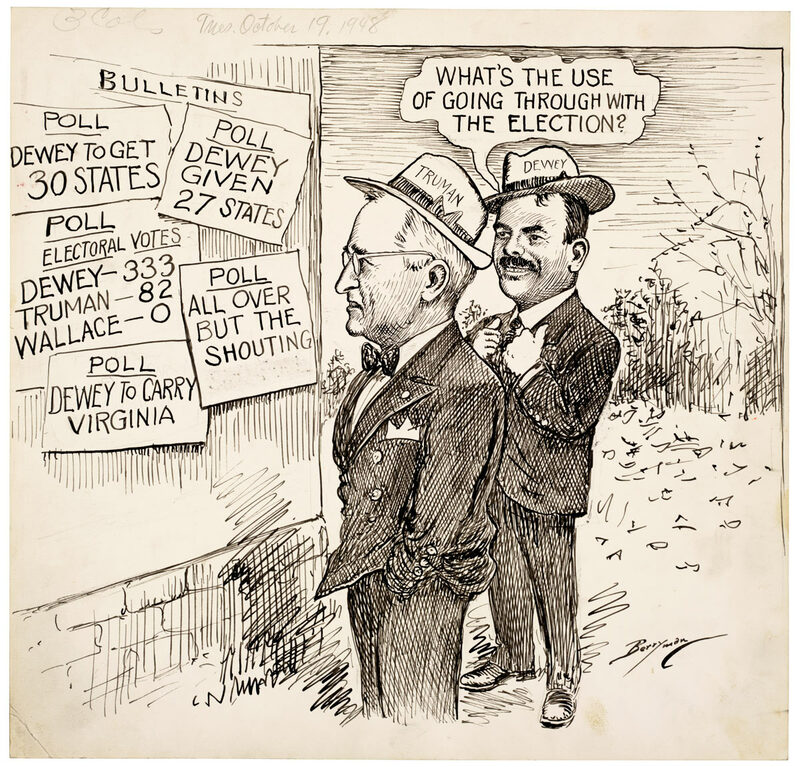 Polls, media (represented by the cartoon itself), and a smug Thomas Dewey line up against Harry Truman in the 1948 election. In his textbook, The Practice of Public Relations, Fraser Seitel reminds us that political polls are snapshots of public mood, not predictors of outcomes. Their value rests on applying the latest insights and methods while diligently avoiding traditional research flaws. The media largely accepted the bulk of 2016 presidential polls. The Clinton campaign did as well in not anticipating the threat to its Rust Belt firewall of Wisconsin, Michigan, and Pennsylvania. Emulation of the methods used in the USC/LA Times Poll and Investor’s Business Daily/TIPP Poll is likely in future elections. Effective execution of polling and accurate analysis of results are less certain. This entry was posted in Bad PR Examples, Marketing, Public Relations and tagged Dan Schnur, Dewey Defeats Truman, Donald Trump, Fraser Seitel, Harry Truman, Hillary Clinton, IBD/TIPP Poll, Jason Karpf, Media, polls, Presidential Election, research errors, Thomas Dewey, USC/LA Times Poll. Bookmark the permalink.